More or less one year ago, we were observing an increasing activity of U.S., British, French and Italian military spy planes perfoming information gathering missions along the northern border of the Tripoli FIR (Flight Information Region). Quite silently, those SIGINT (SIGnal INTelligence) platforms flew in the Maltese airspace to eavesdrop into Libyan communications and signals and to collect the information needed to build up the so-called EOB (Electronic Order of Battle) of the Libyan forces, that would be used to have a better understanding of the situation in Libya, to know where forces were located and to build up a priority target list for the subsequent air campaign. Presumed to remain (almost) secret, those flights were actually “advertised” by LiveATC.net, whose Maltese feeder (shut down during the war) made the radio communications between Malta Area Control Center and the various EP-3s, RC-135 Rivet Joint, C-160G, British Nimrods R1s etc. transiting the local airspace before operating in “due regard”, public. Although nowadays we can’t listen to the radio comms of the military traffic in that area as we did in February 2011 and we don’t have the same “evidences” we had one year ago, we can be quite confident that similar activities are being conducted in or around Syria from bases in Italy, Turkey or Cyprus (RAF Akrotiri airbase). Along with the satellite image released by the US Embassy in Damascus some American defense officials told the NBC that “A good number of American drones are operating in the skies of Syria, monitoring the Syrian military’s attacks against opposition forces and innocent civilians alike”. The Pentagon was quick to point out that these drones were providing surveillance not for a future military intervention but to gain evidence from both a visual and communications perspective to “make a case for a widespread international response”. However, the confirmation that U.S. robots are flying inside the Syrian territory does pose the question: what type of drone are being used? Most media outlets are using stock images of Predator or Reaper drones, but those unstealthy ‘bots would be vulnerable to the Syria SAM (Surface to Air Missile) network, believed to be among Middle East’s most robust ones. Both MQ-1 and 9 are Medium Altitude drones that could be operating in Syria only if flying outside the range of active SAM rings. 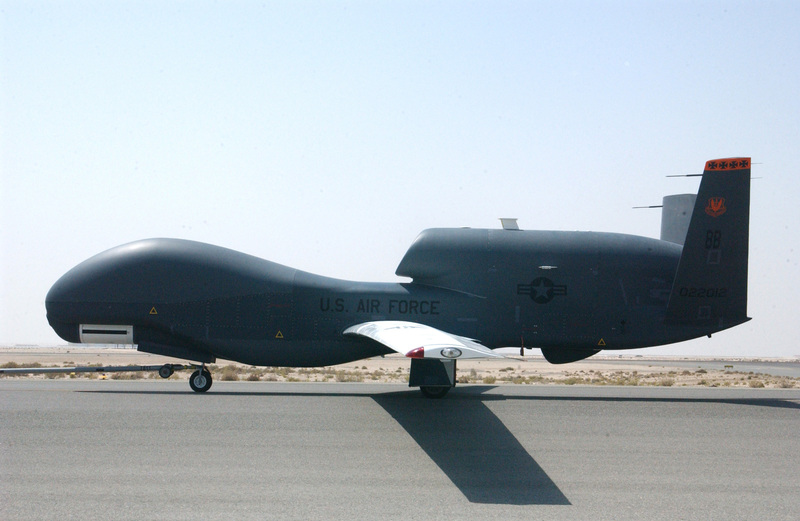 Hence, its conceivable that most ISR (Intelligence Surveillance and Reconnaissance) missions in the area are being flown by High Altitude platforms, as Air Force’s Global Hawks or U-2s (or even stealthy RQ-170s, as the one captured in Iran). Even if Sigonella in Sicily, hosts the U.S. RQ-4Bs belonging to the 9th Operations Group/Detachment 4th, Incirlik in southern Turkey, being next to the border, seems to be more suitable for spy missions in Syria. Missions that these days could be aimed at assessing the type of activities conducted by the destroyer Shahid Qandi and the supply vessel Kharg, the two Iranian warships that have docked at the Syrian port of Tartus after passing through the Suez canal. In fact Egyptian sources as well as members of the Syrian opposition claimed that the two vessels have been jamming satellite telephone communications of the Syrian opposition forces. According to the same Egyptian sources, Assad’s forces have been finding it more difficult to monitor the oppositors’ communication due to their encrypted nature and someone believes that the Iranian Navy is helping him disrupting these encrypted communications. A bit far fetched, considered that a land based systems would be less visible than two closely watched warships, but not completely impossible. Worth a mention: an Israeli drone was spotted overflying clashes in Homs. Anyway, the scenario is similar to the Libya of the end of February 2011. 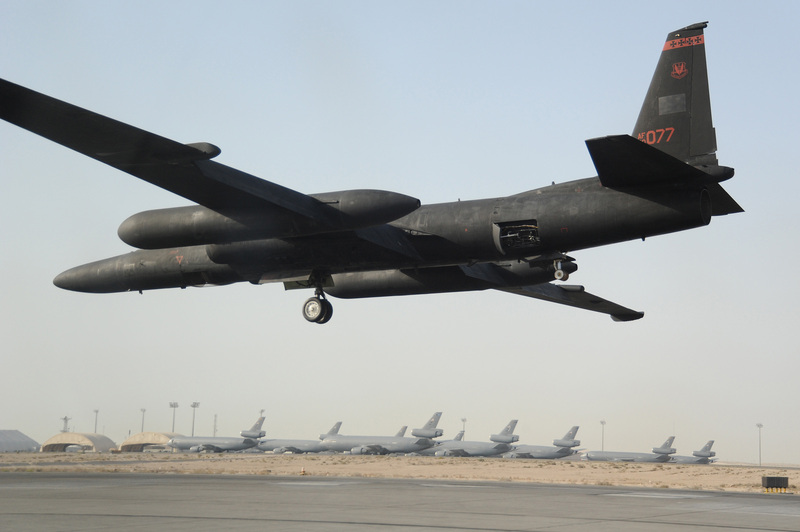 With the only difference that one year ago, the spyplanes did not fly into the “enemy” airspace. Richard Clements has contributed to this article.